With over 112 billion emails sent and received on a daily basis, email continues to be the dominant form of business communication. Organizations must formulate a strategy for not just storing email but meeting compliance requirements, responding to litigation requests and providing instant access to these important conservations. 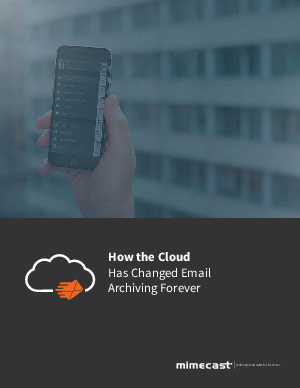 While this has traditionally been accomplished with on-premises technology, the cloud has transformed archiving by delivering new capabilities at lower costs.